TheLeicesterTigers.co.uk - Anyone else constantly getting the Sportsnetwork privacy message? Anyone else constantly getting the Sportsnetwork privacy message? No matter how many times I accept it up it pops! Getting on my wick now. Re: Anyone else constantly getting the Sportsnetwork privacy message? It comes and goes GDPR gone mad. Edited 1 time(s). Last edit at 12/06/2018 10:21 by odd-shaped vagaries. Yep, every time I pop by for a look here. People who don't understand GDPR! Hi Rich, you are right, but I have not seen it for weeks, and so not sure if it is device dependent, or if you are not signed in before the pop-up occurs ? I remain logged in. No - I stay logged in all the time Steve - and I get it on all my devices, using a range of browsers. Odd, I also use lots of devices, android, win10, and chromebook, but I do use chrome browser mainly if that makes any difference ? Chrome on my phone and tablet, Firefox on my lap top. All constantly throwing it up. In which case I have no idea, as I have same. I will try to get an answer from SN guys. The machines are coming for you Rich! 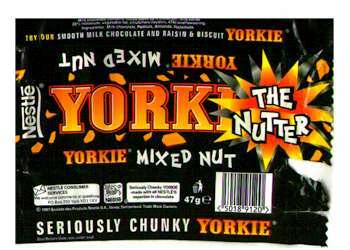 For all of us Yorkie! Build up the wood pile and stockpile the dried goods!